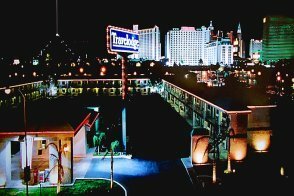 The Travelodge Las Vegas Airport is conveniently located just two blocks from the Las Vegas Strip at the intersection of Tropicana Avenue and Koval Lane. 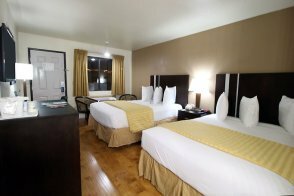 Guests are just a short stroll from all of the fun, nightlife options and attractions that the Entertainment Capital of the World is best known for! 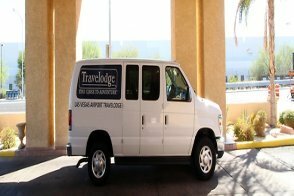 In terms of transportation, the hotel is a short drive from both the Thomas & Mack Center and the Las Vegas Convention Center. It's also situated near the city's major freeways, which means places in downtown Las Vegas -- like The Smith Center, the World Market Center, the Mob Museum and Fremont Street Experience -- are very accessible. 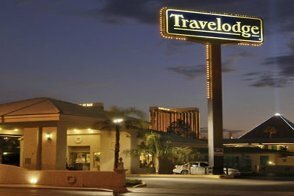 Perfect for the leisure, business and budget traveler, the Travelodge Las Vegas Airport is located near McCarran International Airport as well. In fact, it's only 10-minute ride in the hotel's complimentary shuttle, which runs from 7 a.m. - 10 p.m.. Courtesy shuttle service is in operation during conventions to all the major convention facilities. 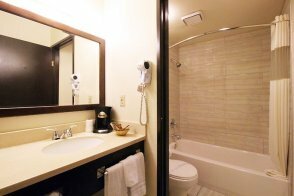 The rooms at the hotel are comfortable and contain many value-added amenities like a refrigerator, a microwave, a coffeemaker and a hair dryer. Guests also get the Showtime cable channel and upgraded Wi-Fi for free. There are both smoking and nonsmoking rooms available. 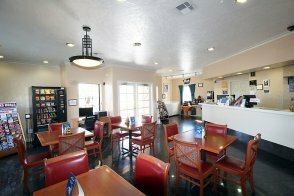 The Travelodge Las Vegas Airport provides a daily complimentary continental breakfast in its lobby. 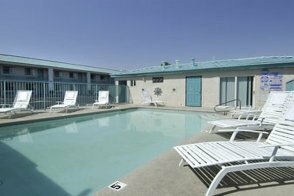 Plus, there's a sparkling pool and patio, a relaxing lobby, a guest laundry room with coin-operated machines and a pleasant staff to make your stay enjoyable! No, but a continental breakfast is served each morning in a room off the lobby. No, but guests are a short stroll from numerous bars and nightclubs on the Las Vegas Strip. No, but guests are a short distance -- that's walkable -- from the Las Vegas Strip and all of its attractions. Yes, there is one large outdoor swimming pool. No, but the staff at the front desk are very helpful. Laundry service, wake-up calls, luggage storage, maid service, daily complimentary continental breakfast and extended parking. Yes, a free daily continental breakfast includes a variety of cereal, fruit juices, coffee, hot oatmeal, bagels, pastries and fresh fruit. No, but there is a large parking lot that is free for guests. Yes. There is a complimentary shuttle to and from the airport that runs from 7 a.m. - 10 p.m.
No, but the Strip is within walking distance. 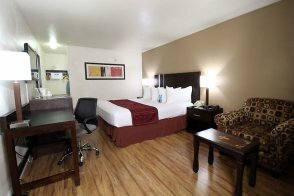 Resort fee Travelodge Las Vegas does not have any resort fees.